The Gleneagles® Hotel is a world-famous 5 red star luxury hotel award-winning Spa & Golf Resort. Set within the gentle beauty of 850 acres of Perthshire countryside, the resort is home to three championship golf courses including the PGA Centenary, host venue for the 2014 Ryder Cup. Take advantage of the Gleneagles/Kingsbarns Package which offers one, two or three night stays at Gleneagles with rounds of golf on The PGA Centenary, King’s or Queen’s Courses and one round of golf at Kingsbarns. For the details of the packages please click HERE. Stylishly remodelled on a golfing theme, Macdonald Rusacks Hotel offers luxurious accommodation within a sand wedge of the 18th hole of the famous Old Course. Its award-winning Rocca Bar & Grill serves fine food and drink against the backdrop of the world’s oldest golf course. 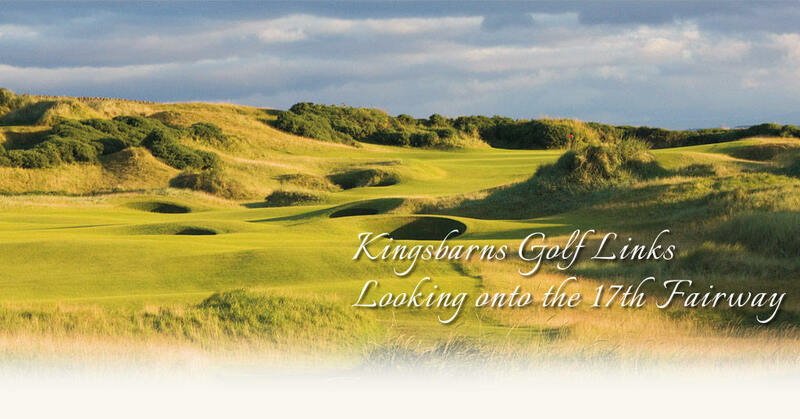 Take advantage of the Kingsbarns Summer Golf Package which offers luxurious accommodation including full Scottish breakfast and one or two rounds of golf at Kingsbarns. For the details of the package please click HERE. The 5 red star Old Course Hotel and Spa in St Andrews offers the ultimate luxurious experience. With a combination of classically elegant and contemporary interiors, the hotel offers quietly confident service, outstanding facilities and a warm welcome in the finest traditions of Scottish hospitality. Set on a 520 acre estate with a unique coastal setting, Fairmont St Andrews is the perfect location to turn any holiday into a treasured memory. From lavish rooms to luxurious spa, world class golf on two championship courses to exquisite dining, this is the 5* retreat at its finest. Cambo House is located just 300 meters away from Kingsbarns Golf Links! Enjoy the personal touch of a family who relish sharing their historic home and their amazing range of bed and breakfast and self-catering accommodation which nestles on the seashore by Kingsbarns Golf Links. You can now stay longer and perhaps play a few more rounds. For more details please click HERE.